Helly Hansen's performance softshell vest for all weather conditions. A favored piece at ski resorts, on boats and cities all over the world. Athletic looking, warm and protective. 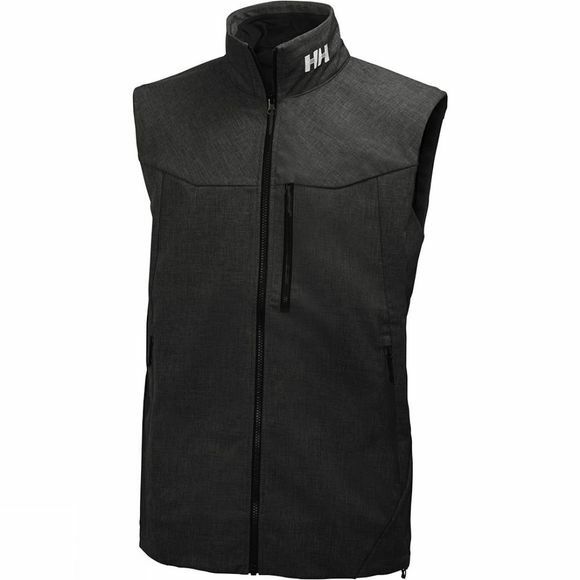 The versatility of softshell fabrics is evident to anyone owning a Helly Hansen Paramount Vest. Light drizzle and wind is no problem. Whether on the slopes, on a trail or at your favorite bar - this vest handles it all.